The SDFCU Savings Secured Visa Platinum Card from the State Department Federal Credit Union is a secured credit card with virtually no fees, a low APR, and a modest rewards program that rewards everyday spending. The SDFCU Savings Secured Visa Platinum Card is a great product for consumers seeking to build or rebuild their credit without paying high fees or interest charges. However, it’s only open to members of State Department Federal Credit Union, a Virginia-based credit union founded for State Department employees and their families. Fortunately, SDFCU eligibility has expanded significantly in recent years, to the point that pretty much anyone employed by or associated with an affiliated organization can join. Some affiliates are open to the general public. If you’re not employed by the State Department or related to someone who is, the easiest and cheapest way to become an SDFCU member is to join the American Consumer Council for a one-time fee of $15. For additional options, check out the full affiliate list at SDFCU’s membership page. Once you’ve become an SDFCU member, you can apply for this credit card. Notably, you don’t need to submit to a credit check during the application process, making this card appropriate for applicants with significantly impaired credit. Here’s what you need to get the most out of it – and, hopefully, improve your credit with an eye to qualifying for a better card with juicier rewards and higher spending limits. The SDFCU Savings Secured Visa Platinum Card requires a minimum initial deposit of $250. This deposit secures your account and serves as collateral in the event that you become delinquent. It’s held in an interest-bearing savings account with a variable yield – currently 0.10% APY. You can’t withdraw these funds unless and until your account is closed, even if you don’t carry a monthly balance. Every 12 billing cycles, or more frequently upon request, SDFCU reviews your account and recent credit activity to determine whether you qualify for an upgrade to a non-secured card such as the SDFCU Visa Platinum Credit Card. If you’re approved for an upgrade, your account is closed and you’re able to access or withdraw your security deposit. Your credit limit is equal to your security deposit. You can increase your limit (up to $100,000) by depositing additional funds into your secured savings account. This card earns 1 Flexpoint per $1 spent on all purchases. There’s no limit or cap on how many you can earn. As SDFCU’s all-purpose loyalty currency, Flexpoints can also be earned on debit card purchases (1 point per $2 spent) and bill pay transactions from deposit accounts (5 Flexpoints per transaction). You can redeem your accumulated Flexpoints for travel, events and experiences, general merchandise, and merchant gift cards. Redemption values vary by redemption method, but generally range between $0.005 and $0.008 per point. Partial redemptions are not allowed in most instances – if you don’t have enough points to redeem for the entire point value of the reward (for instance, 12,000 points for a $100 gift card), you can’t redeem at that time. However, you can make partial redemptions on some travel items, as long as you have at least half your intended reward’s value in Flexpoints. Every billing cycle, SDFCU reports your payment or nonpayment patterns and credit utilization activity to all three major credit reporting bureaus: TransUnion, Experian, and Equifax. If you pay your bills on time and use your card responsibly, your credit score is likely to rise over time. This card does not have an introductory APR promotion. From the day you open your account, your APR for purchases, balance transfers, and cash advances is 13.49%. This rate can vary with prevailing interest rates. There is no penalty APR. This card has no annual fee, foreign transaction fee, balance transfer fee, or cash advance fee (except a $3 ATM cash advance fee). Late and returned payments both cost up to $25. There are no other fees associated with this card. This card is meant for people with poor to below-average credit. If you have a recent bankruptcy on your credit report, your application may be denied. However, other serious credit issues aren’t necessarily disqualifying. Virtually No Card Fees. 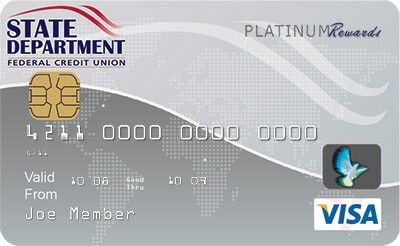 SDFCU Savings Secured Visa Platinum has very few card fees. There’s no annual fee, foreign transaction fee, balance transfer fee, over-the-counter cash advance fee, or over-limit fee. The few fees that do pop up can be safely avoided with discipline and advance planning. By contrast, many top secured credit cards (including the BankAmericard Secured Card) do carry annual fees in the $25 to $40 range. No Credit Check Required. SDFCU doesn’t require applicants to submit to a credit check. 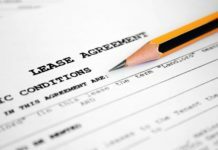 That’s great news for applicants in the early stages of recovery from a major financial setback, such as bankruptcy. Every Dollar Spent Earns Flexpoints. Every dollar spent with this card earns 1 Flexpoint. That equates to a return on spending of approximately 0.5% to 0.8%, depending on how the points are redeemed. While that’s not a fabulous return overall, it’s better than most secured cards, which tend not to have rewards at all. Great for International Travelers. With no foreign transaction fee, this card is great for international travelers, which the State Department is full of. Most competing secured cards have foreign transaction fees of 3%. Responsible Use Can Improve Credit Score Over Time. SDFCU provides monthly updates to the three major credit reporting bureaus. If you use this card responsibly and make timely payments, your credit score is likely to increase over time (assuming no other issues unrelated to your SDFCU card use). Deposit Earns Interest. Your security deposit is held in an insured savings account with a small but significant yield of 0.10% (variable). Therefore, as this card has no annual fee, you can actually make money on your deposit if you don’t carry a balance from month to month. Automated Upgrade to Non-secured Card. If you use your card responsibly, you’ll have the opportunity to upgrade to a non-secured card in a few as 12 months. This upgrade can occur automatically, so you don’t have to worry about bugging SDFCU or checking in on the status of your request. Flexpoints Have Low Redemption Values. As loyalty currencies go, Flexpoints are just so-so. Their redemption values range from $0.005 to $0.008 apiece, far lower than the $0.01 cash back standard. Super-generous secured credit cards are few and far between, but Navy Federal Credit Union nRewards Secured Credit Card does have a slightly better deal – a roughly 1% rewards rate. No Sign-up Bonus. This card has no sign-up bonus, which can be disappointing for new cardholders looking to juice their rewards earnings right away. Requires a $250 Deposit. When you open your account, you need to deposit at least $250 into your collateral account. That could be a big ask for cash-strapped applicants. Some competing cards, including Capital One Secured Mastercard, require as little as $49 upfront. Secured credit cards tend to be light on cardholder-friendly benefits. After all, they don’t really have to be generous: most people use them as temporary stepping stones while building (or rebuilding) credit. Once they’ve served their purpose, they can be safely discarded in favor of cash back credit cards or travel credit cards that offer rewards and perks worth writing home about. The SDFCU Savings Secured Visa Platinum Card is decidedly different – in a decidedly good way. With extremely low interest rates, very low fees, and a decent rewards program, it’s one of the most consumer-friendly secured cards around. If you’re seeking to improve your credit and you’ve yet to settle on a secured card to help you do it, look into becoming an SDFCU member and applying for this card. It could be one of the best financial decisions you make this year. The SDFCU Savings Secured Visa Platinum Card is an excellent secured credit card with few notable drawbacks and a host of useful benefits for cardholders seeking to build or rebuild their credit. With a decent rewards program, very loose underwriting standards, and almost nonexistent fees, it’s useful for frugal consumers who want to preserve the option to carry a balance and those looking for a card that pays them back for every dollar spent. SDFCU Savings Secured Visa Platinum’s key benefits include its almost complete lack of fees (including no annual fee), the fact that it has a rewards program, loose underwriting standards, the benefits for international travelers (notably, no foreign transaction fees), the regular credit bureau reporting, the low but significant yield on security deposit funds, and the automated upgrade to a non-secured card if your credit allows. This card’s drawbacks are relatively minor in comparison. They include low redemption values for Flexpoints, no sign-up bonus, and the $250 initial deposit requirement. Overall, SDFCU Savings Secured Visa Platinum is a category-leading secured credit card that offers a smooth, clear path to better credit.